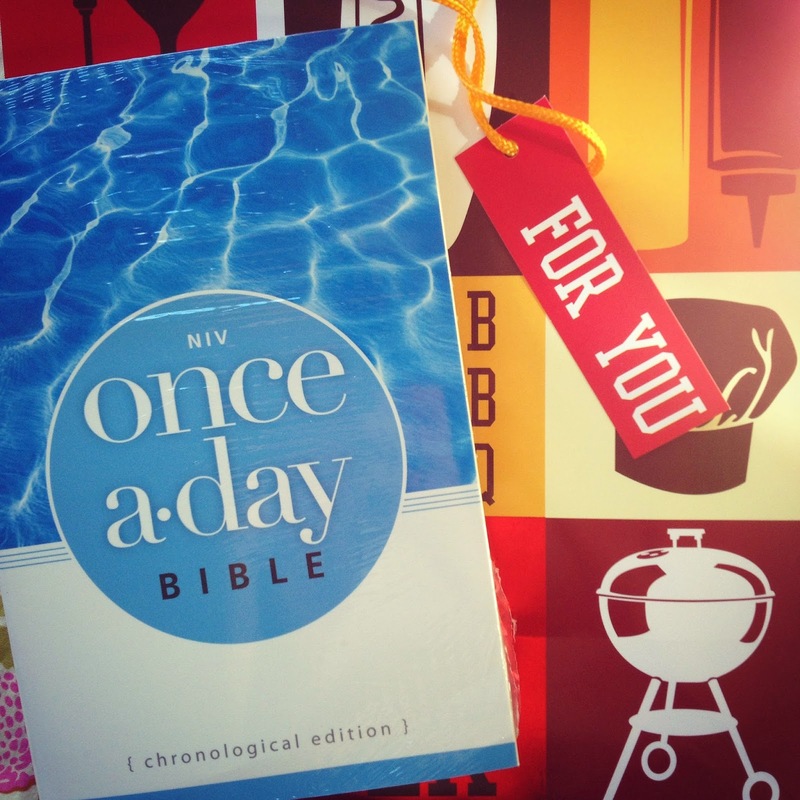 The NIV Once-a-Day Bible, Chronological Edition, is one of my new favorite things! My boyfriend and I had been talking about reading the Bible chronologically for awhile now as a way to refresh our reading of the Bible and bring new perspective. We've also been looking for a devotion to do together, so when I had the opportunity to grab this once-a-day version, I knew it would be perfect for his birthday. We've been greatly enjoying reading together nightly. I will admit the readings can be a bit long each day, but you're reading the whole Bible in a year, so it's to be expected. I particularly enjoy the "reflection" section after each daily reading. It's fascinating to be reading the Bible in chronological order, so if you haven't tried this, I recommend it so far for sure. The once-a-day version makes it easy to stay on track. And the readings are merely numbered, not dated, so no need to feel guilty if you miss a day. I do wish they had a hardcover edition, but that's a minor detail. Overall, a great Bible to have in your house because of its useful and unique set-up. Have you ever read the Bible chronologically? What did you think? This looks great! My boyfriend and I need something we can do together, and this would be perfect. He's a new Christian, and I have been away from God for a while. I will have to check this out for us! @Christen, Aww, your comment was heart-warming to me! I wanted to tell you about something but you're a "no reply" commenter on blogger and I can't click any of the links to your social media on your site for some reason :( Hit me up!